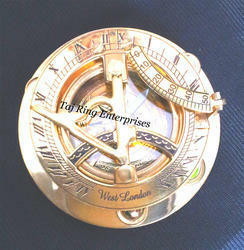 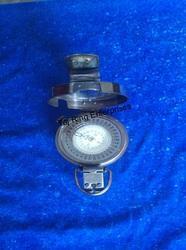 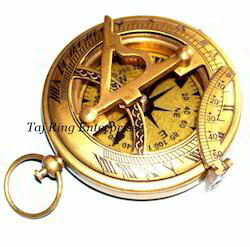 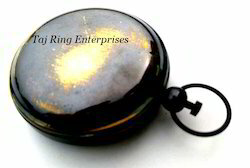 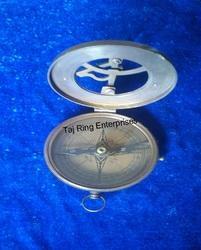 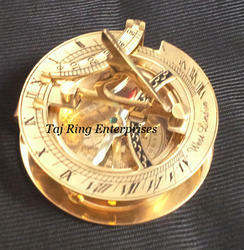 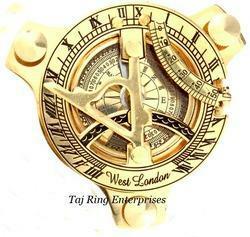 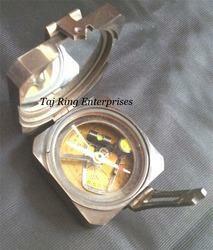 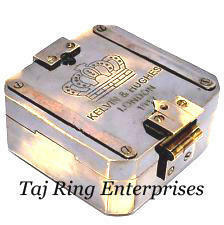 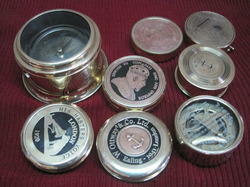 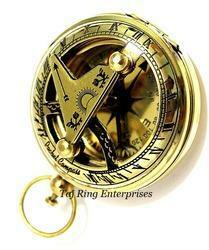 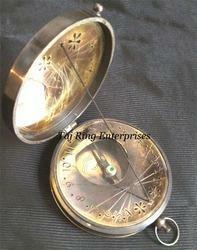 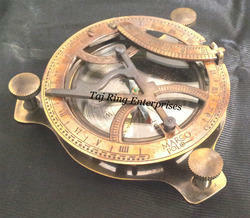 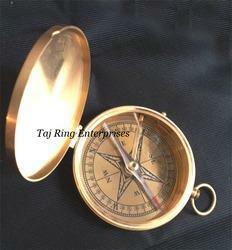 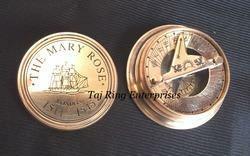 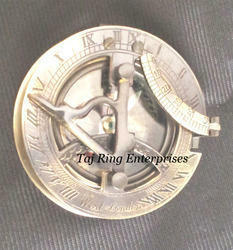 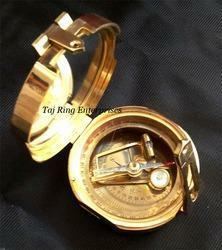 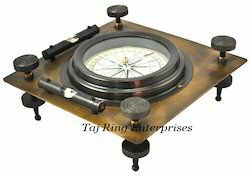 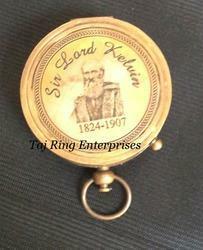 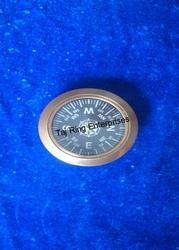 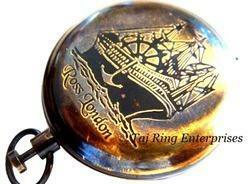 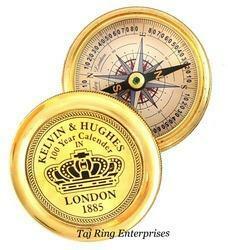 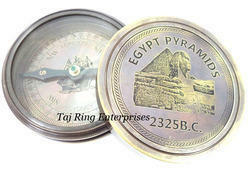 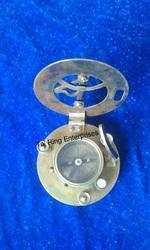 We are one of the leading manufacturers, exporters and suppliers of all kinds of Antique Brass Compass. 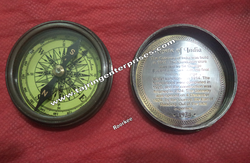 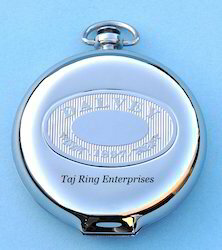 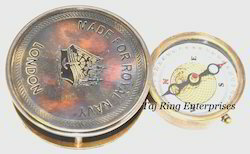 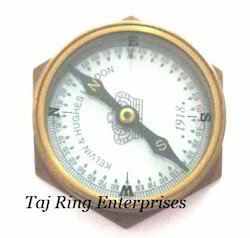 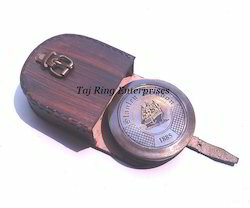 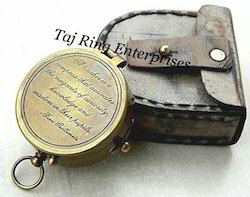 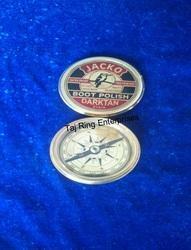 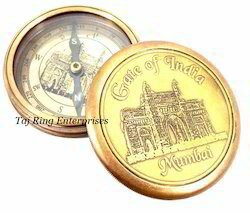 From Roorkee, our product range includes, Brass Compass, Brass Antique Compass Pocket Compass Nautical Compass such as Antique Nautical Compass, Brass Nautical Compass, Ancient Compass, Prismatic Compass and many more items. 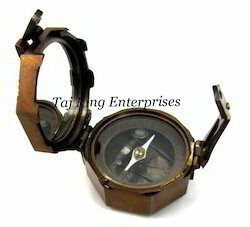 Collectible Nautical Antique Finish Compass Beautiful Marine & Maritime CompassAntique Compass Marine & Maritime Brass Nautical Compass With Awesome Quality Best Gift For Collectors. 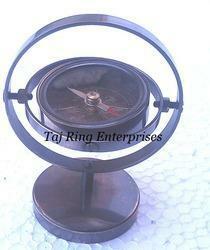 The Frame of reference defines the four cardinal directions or points -NORTH, SOUTH, EAST, WEST. 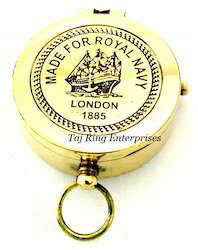 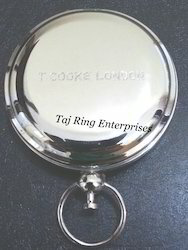 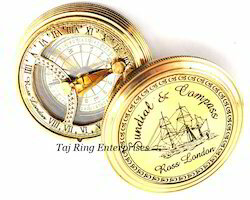 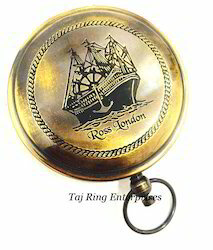 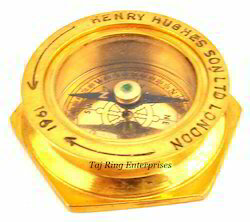 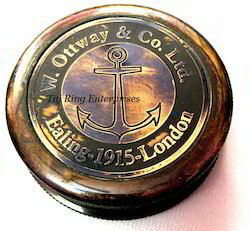 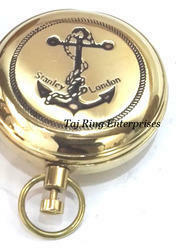 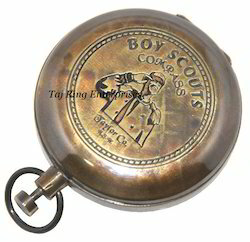 Compass Dia:- 3" , ht:- 1.5"
Its Show EAST, WEST , NORTH, SOUTH Awesome Styl Brass Replica Marine Compass..
Engraved With Front "STANLEY LONDON POCKET COMPASS 1885"..
Ht:-4" , Compass Dia:-1.5"& Base:-2"
Compass Dia:- 3" , ht:- 1"
Awesome Styl Brass Replica Marine Compass.. 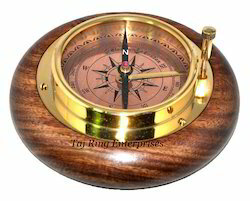 The Frame of reference defines the four cardinal directions or points -NORTH, SOUTH, EAST, WEST. 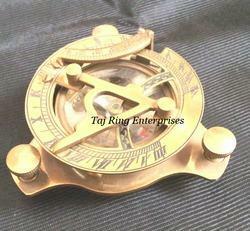 Collectible Beautiful West London Brass Compass All work is hand Made Its Best Gift For Collectors Marine & Maritime Brass Compass.Sundial Clock Compass. 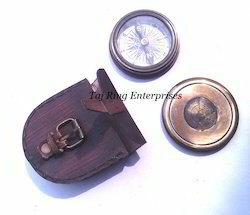 Nautical Marine Antique Finish Brass Compass Its Made Of Solid BrassBeautiful Replica Gift Compass Its Beautiful Antique Open Face Marine CompassNautical Antique Maritime Compass Awesome Style Awesome Gift For Collectors.All work is hand made. 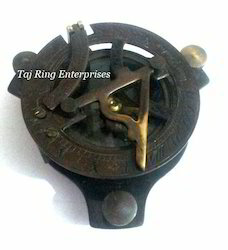 Nautical Marine Antique Finish Sundial Compass Its Made Of Solid BrassBeautiful Replica Gift Compass Its Beautiful Antique Sundial CompassNautical Antique Lid Compass Awesome Style Awesome Gift For Collectors.All work is hand made. 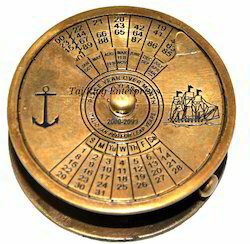 This Nautical Solid Brass British Prismatic Compass All work is hand made Its Made of solid brassGreat Nautical Collection Replica Compass Its Beautiful Nautical Theme Collectible Nautical Brass Compass Engraved With Back Nautical Marine Replica Compass. 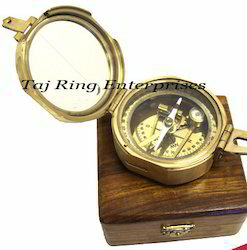 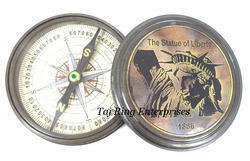 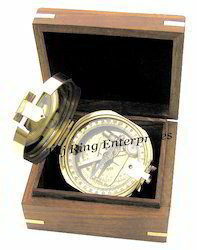 All work is hand made Its Made of solid brassGreat Nautical Collection Replica Compass Its Beautiful Nautical Theme Collectible Nautical Brass Compass Engraved With Back Nautical Marine Replica Compass. 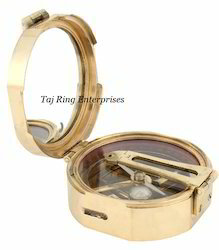 Compass Dia:- 3.2" , ht:- 1"
"Kelvin & Hughes 100 year calendar London 1885"
Awesome Style Nickel Finish Brass Push Button Compass All work is hand made Awesome Style Brass Marine Compass Its comes With Stylish Finsihing Look Marine Compass Replica Stylish Compass Marine & MARITIME Brass Compass Its Compass Its More Stylish Replica Push Button Compass Engraved With Front " DALVEY "
Awesome Style Polish Finish Brass Push Button Compass All work is hand made Awesome Style Brass Marine Compass Its comes With Stylish Finsihing Look Marine Compass Replica Stylish Compass Marine & MARITIME Brass Compass Its Compass Its More Stylish Replica Push Button Compass Engraved With Front " POCKET COMPASS"
Engraved With Front "STANLEY LONDON 1885"..